Many years ago, during my teacher training, I was asked to write my philosophy of education. As a new teacher, this was a daunting task because I had not yet tapped into a philosophy. At that time, the only thing that I could do was reflect upon how I learn. I was always driven by inquiry. I asked lots of questions and when I got the answers, I asked more questions based on the answers. I liked to create my own assignments and I often neglected the required ones. I wanted to be in control of my own learning. I was the student that asked, “what’s the point of this?”. I was not good at memorizing facts, resulting in many years of poor grades, – What I needed the most, was to be given the freedom to discover knowledge for myself. I don’t know if it is coincidence, or irony, or purposeful planning but it seemed to me that the principles of inquiry based learning were a major theme at TedxOntario on April 9, 2010. Ray Zhab from Impossible2Possible inspired the audience as he talked about how his personal journey of transformation, through inquiry and experience has changed his life. Ray uses his experiences to inspire people – children and adults- that they CAN achieve beyond their perceived limits and that hard work, determination and support are the key factors. Lee LeFever of Commoncraft, followed Ray and again emphasized the importance of connections when learning. Learning something new needs to have a meaningful context. 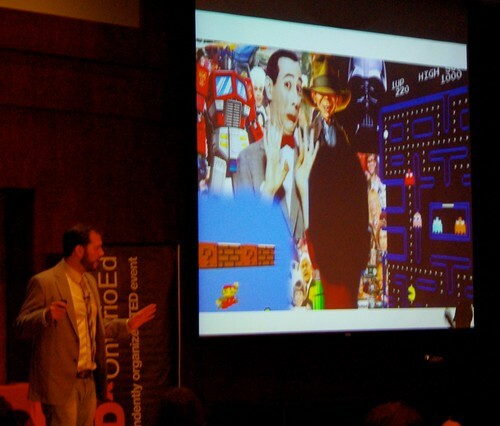 Joel Savoy, a classroom teacher, again emphasized the importance of inquiry through hands-on experiential learning programs and connections to the world beyond the classroom. We heard Tim Long joke about his own experiences with “do it yourself” winner projects, but his message was clear – discovery is engaging. It has taken many years for me to recognize that my approach to learning is one that widely known as an “inquiry approach”. The education system that I grew up with, did not support this approach. And it didn’t for Jesse Brown either – another TedxOntario speaker. Jesse explained that in spite of this system, he persisted by constantly asking questions, trying new methods of learning and tapping into the intelligences that were not considered ‘academic enough’ for school credit. He joked about spending so much time ‘in the office’ and yet, all joking aside, Jesse expressed grave concern that school has not allowed- or encouraged – many students to learn in the visual and interactive way that they are used to -during non school hours. “that curriculum and instruction should be based on integrated, problem-based tasks with hands-on activities that engage learners. Even a century ago, he advocated that students needed a wider sense of themselves and a global approach. 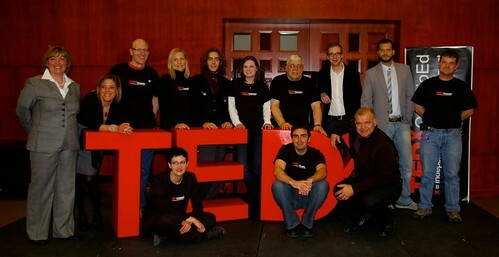 Tim Ludwig – was the last presenter for the TedxOntario event. A shy, high school student, braved the stage and conquered his own fear and years of discomfort amongst educators. His message was clear. Get to know your students. He reminded the educators in the crowd that boredom results in disruption. Tim talked about his need for inquiry based, hand-on and experiential learning as not optional – but as necessary for kids like him (and me…..and Jesse Brown) to succeed. This entry was posted in Differentiated Learning, inquiry based learning, teaching philosophy, Uncategorized and tagged inquiry based learning, tedxontarioed. Bookmark the permalink. Over the past few months, I’ve read your posts with interest. Your teaching style and use of technology inspires me. This year, I am turning more of my students’ learning over to them as they develop their own research questions. While it seemed strange at first, we are all enjoying it. Currently, my gr. 7/8 class is working in groups on a project targeting an issue of social justice. What’s making this really fun, is the fact that their partners are in Virginia (Susan Carter Morgan’s class). We are using GDocs, Skype and VoiceThread. I know we are on the right track. My students are working hard and loving their learning. Student leaders are helping those who struggle. While I think I’ve addressed the assessment part of the project, I wonder if I’m on track. Would you be willing to share how you assess your students in these collaborative projects? Hi Heather, Thanks for the reply. Wow, it sounds like you are doing some great things in your classroom. Your students are lucky to have a teacher willing to try new methods…ones that are collaborative. It is very inspiring. In regards to assessment, I do use a lot of self assessments. I would love to send you some of the rubrics we’ve made together. Email me at: zoe.branigan-pipe@hwdsb.on.ca if you are interested! When you showed us Tim Ludwig’s presentation at the conference, all I could say was, “I totally agree!” Teachers really only assume what’s going on. They shouldn’t go by their board issued agenda, give children real creativity. Let them make up what they are going to do. Teach the student as a student, not as a class. That is the way it should be. Tim Ludwig is an amazing 12th grader, his teachers may not realize it, but he is highly intelligent. All students should be the same-even if they don’t like school, they should be happy with learning something! If they don’t learn what the teacher is really teaching, at least they are happy with what they learn in the end. Tim, if you ever read this, great job! I would never be able to go up in front of teachers and tell them that this is how I want to learn, this is what all students need. Oh, and Mrs. Pipe, his video was the perfect way to begin your fantabulistic presentation.